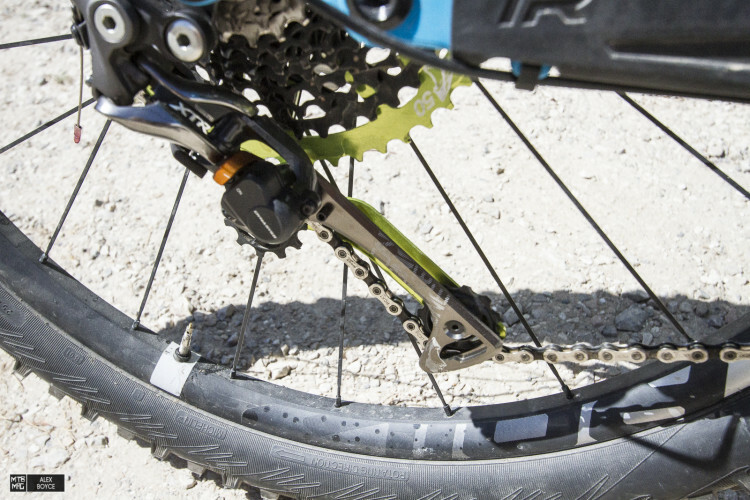 One Up components started a couple years ago offering 42T hop up cogs so riders could upgrade their 1 x 10, 11-36T systems to get a broad gear range on a budget. 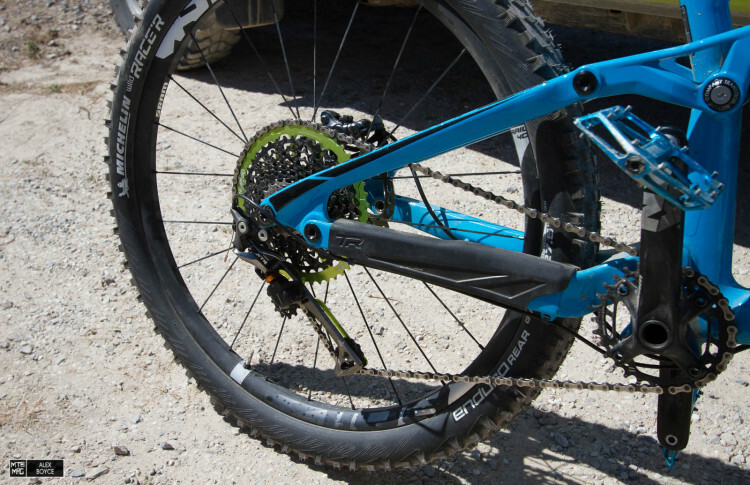 Since then it seems the whole MTB world moved to 1 X systems and the limit keeps getting pushed in terms of gearing. The shark cage and 50T combination. One Up sent us their 50T rear cog and their Shark cage adapter for an 11-42T cassette. We installed it a few weeks ago and since have been pedaling away on it in Punta Ala to see how well it works. The whole drive train, in this case we used a 30T on the front and the 50T on the rear. There is no doubt the 50T on the back gave us a new huge gear range that when we first went pedaling with it, we found it a bit too low with our 30T front chain-ring. We switched this out to a 32T and we felt we had found a gear ratio that worked really well for our 500 metre local climbs. The 11T on the top end was enough for some speed in the descents, and on the climbs things were easy enough with the 50T. Our setup uses 27.5″ wheels and we are moderately fit. The key to the system working well after initial cassette setup, is the “Shark” cage. We tried the 50T without it and it was crunchy. 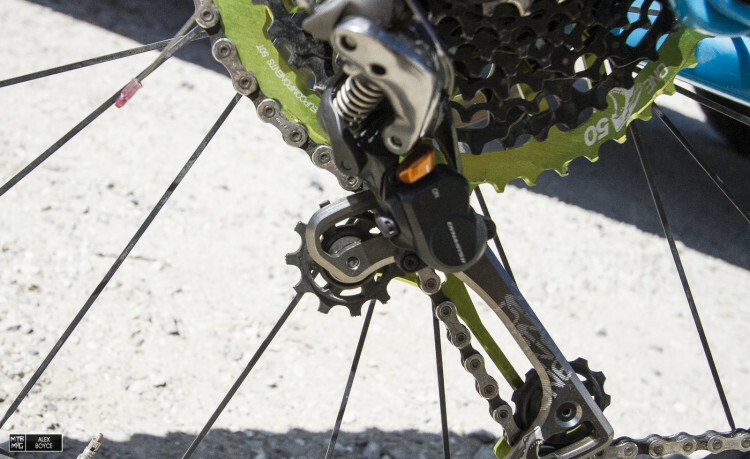 We installed the XTR derailleur with the modified cage and shifting became Shimano smooth. The top pulley on the derailleur is moved backwards a bit and the cage also lengthens so it can take up more chain wrap. Overall the top pulley is better positioned for the chain to move into the bigger 50T gear without the B-tension screw being wound in too far. In fact we didn’t have to touch the B-tension screw, the system just worked. Descents went off with out a hitch with the system installed. 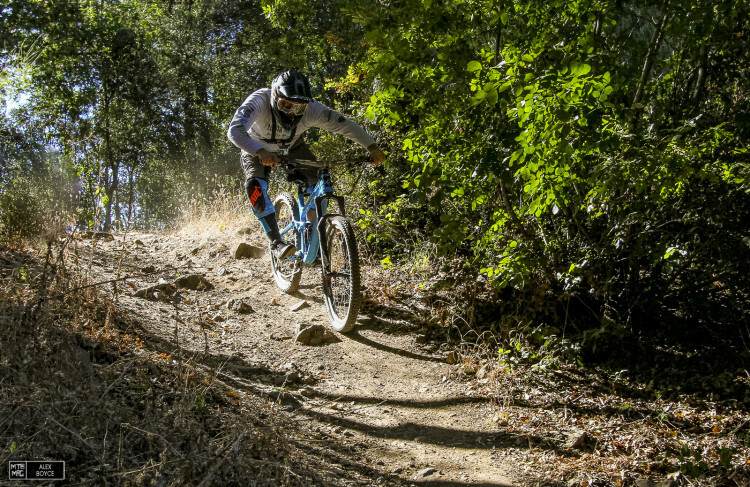 We did some climbs and descents, noting that the rear derailleur behaved well on rough descents. With the longer cage we were worried about it being a bit more vulnerable to rock hits, but we have not experienced any problems so far. Shifting to lower gears with the clutch engaged worked well. We noticed that shifting into higher gears was better with the clutch disengaged. Past attempts by other “adapter” brands always failed to impress us when shifting into higher gears, after cogs wore rather quickly. We will be seeing how the One Up 50T solution works after a bit of wear, but so far so good. The higher gear 18T replacement cog. 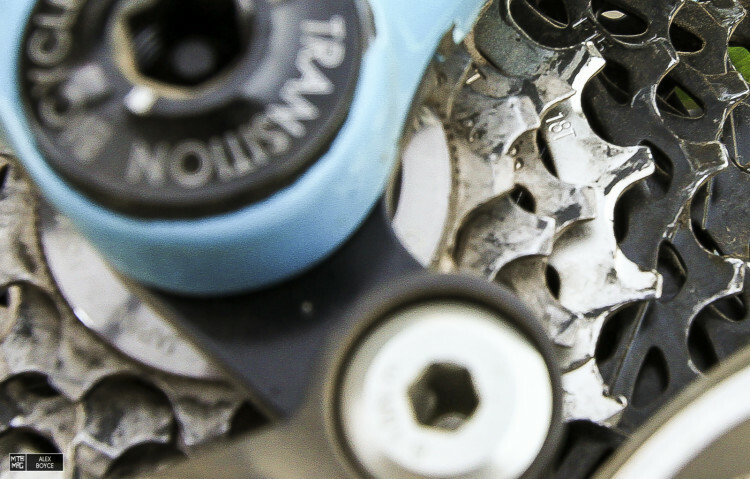 As well as the lowest gear being substituted, you need to remove the 7th and 8th gear and replace them with the 18T cog, this in our experience gave a better shifting step in the middle of the block and made complete sense. One Up have created an innovative product. It provides extra gear range and does so for a pretty low price. Overall we would rate their solution in this case with the 50T mod as pretty good regarding performance. Although we have ridden it a lot, we’ve only been on it for a few weeks so regarding long term wear we will have to see in a few months how it is working. The key component for the mod to work well and shift smoothly is the Shark cage. We played with a few other components as well to see what else was possible and came up with a smoothly working cassette that gave us a huge gear range that doesn’t cost a lot. (More details on our hack at a later date). If price is a concern, when chasing big ratio ranges on your 1 x 11 system, then the 50T/18T Shark cage combo is a certainly worth trying. As always though if you do this mod don’t complain about imperfections or expect a warranty on your other drive train components.